Discussion in 'Map Factory' started by Bereth, Jan 18, 2012. 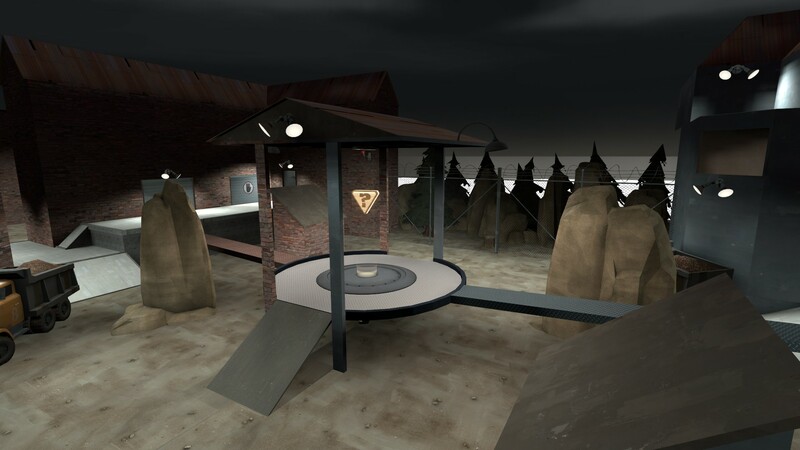 When I first began to make a 5cp map I wanted something which would play quickly. Most 5cp maps lead to huge stalemates, especially the last points. I wanted a map with wide chokepoint, between medium-sized areas. I'm not certain that I succeeded, but I'm hoping to get some input on it. Currently the map is only a little detailed. 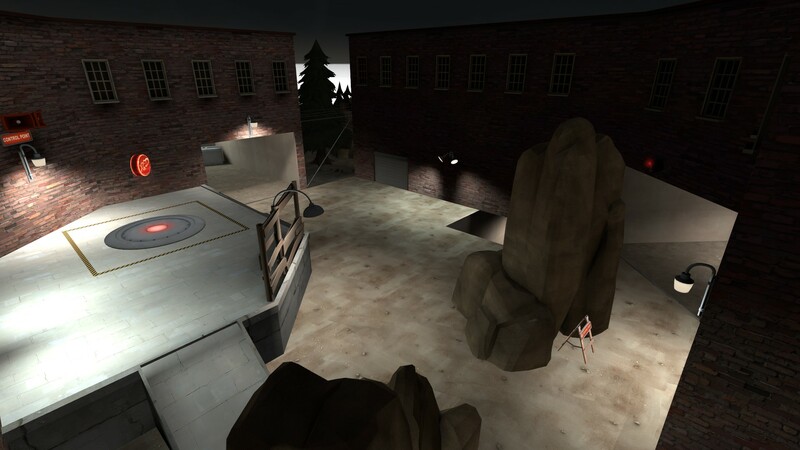 It was more representational for the eventual styling of the map. I would like it to be somewhere in an evergreen forest (probably a valley but tbd). I am experimenting with the night-time effect. I tried to light the map well, but we'll have to see how it works. Again, input is highly appreciated. 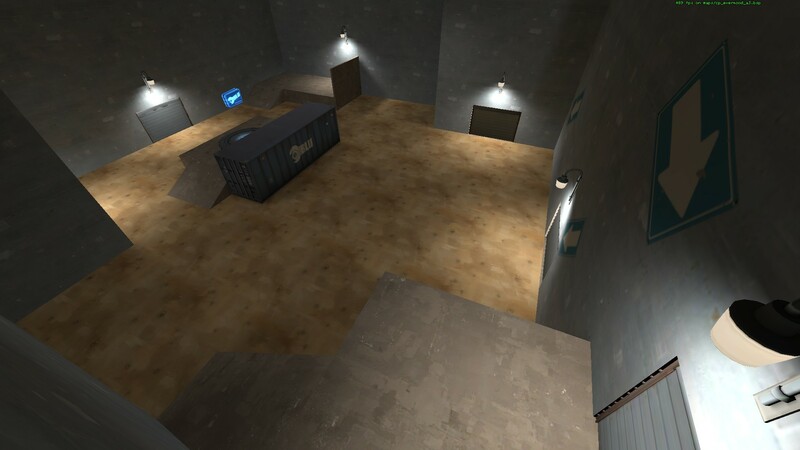 Based off your lighting, it looks like you have a leak in the map somewhere. Also in the 2nd image you have very thin pipes to the point, if those are meant to be walked on, then make them much wider... if not, then remove them because they look silly. Besides those two things which you should fix asap, this looks pretty good. 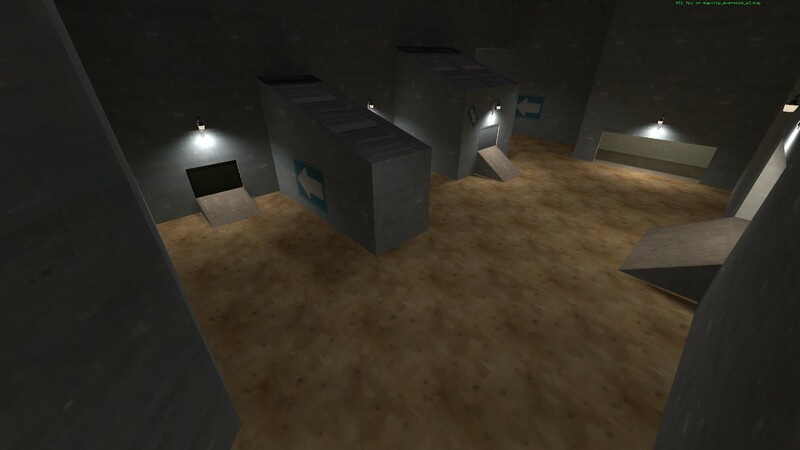 Is this your first map? I don't think he has a leak, more like he just forgot to include an environment light. That or he's left the environment light setting at 90 degrees pitch, casting light perpendicular to the level. There was no leak in the map. 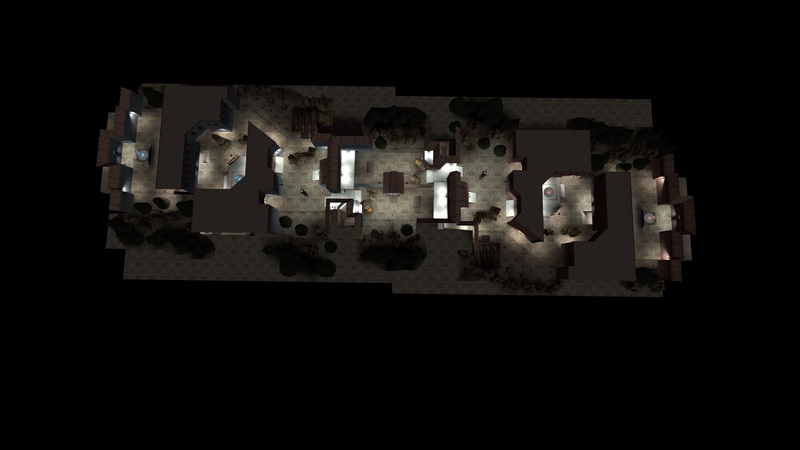 The problem was that I had no light_environmental because it added to the night-time effect of the map. I liked the thinness of the pipes because I though it looked funny having a heavy walk across something so small. But both of these have been changed for A1a. 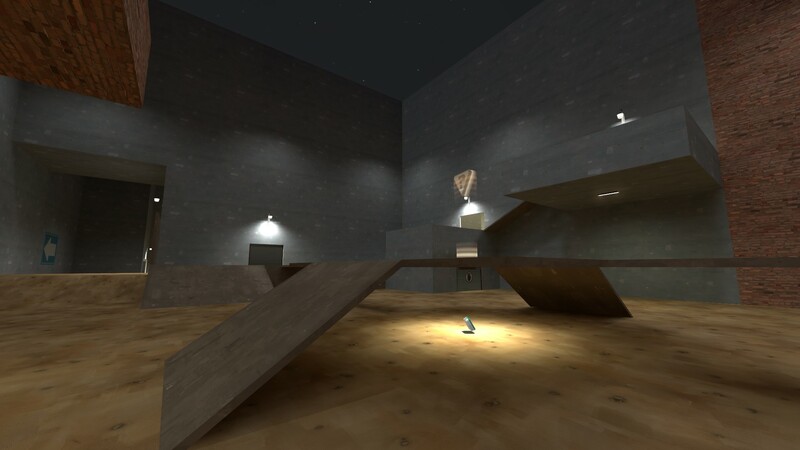 And yes, this is my first map. 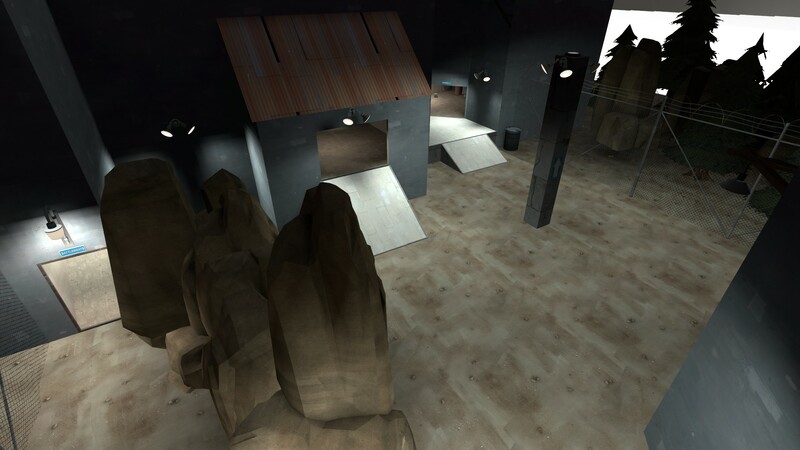 It looks very decent for a first map. I must say that the thin pipes bother me a bit. Wouldn't they just bend as soon as pressure is applied to them since they are thin and completely unsupported? 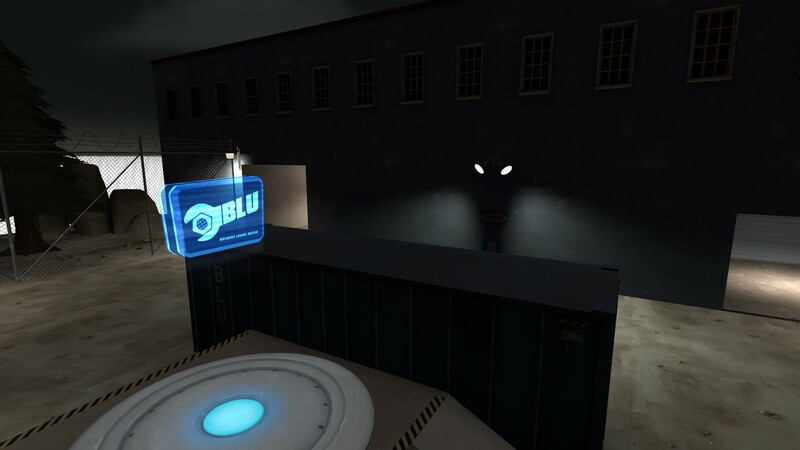 The map looks a bit depressive to me, so if you wanna go by that, why not add an heavy-industrial themed 3D skybox when you get that far? If you are to keep the dark lighting, I'd recommend using the doublecross skybox. There's a big difference in ambience between having no light and a dark light. You should still include a light_environmental, just with really low settings. There's no reason it has to bust out a ton of light into your map by default, it has customisable settings for a reason. Not a big fan of it, but I have switched it. We'll have to see how well it works. See changelog for details. I tried to do as much as possible based on feedback from gameday. I've also updated the screenshots. You really, really need to do something about the absurdly thin walls. 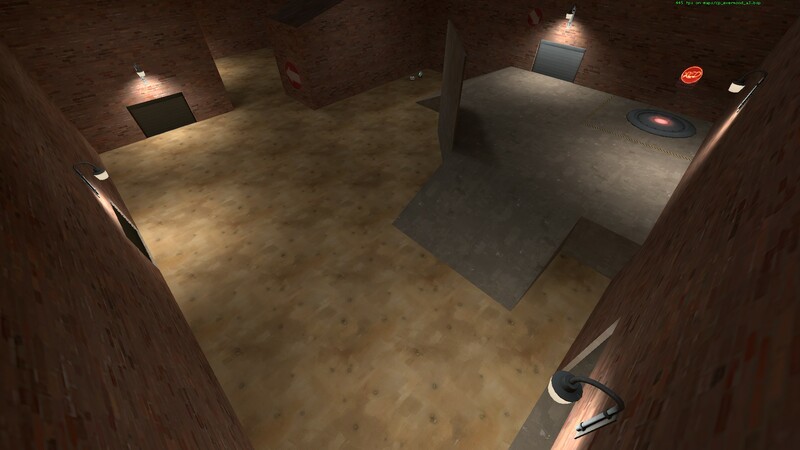 -Fixed the respawn room visualizers for the initial spawns. 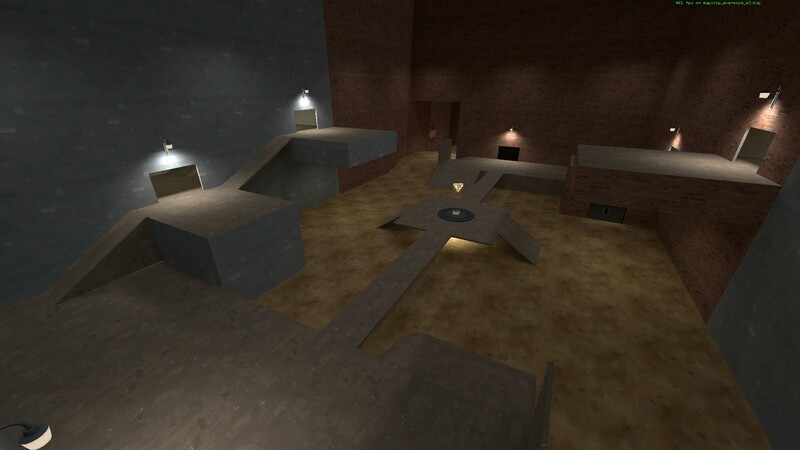 So I decided to work on this map again, this time rebuilding it from scratch.